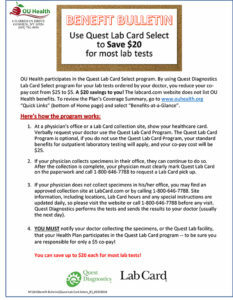 To search for an in-network laboratory in your area, go to www.bcbs.com. Mammography(out-patient hospital or physician’s office) Paid in full. One baseline – women age 35- 39. Annual – Women age 40 and over. High risk, any age. 100% of U&COne baseline – women age 35- 39. Annual – Women age 40 and over. High risk, any age.